Arsenal manager Unai Emery is reportedly looking into replacing goalkeeper Bernd Leno already, despite only signing the German shot-stopper in the summer transfer window. Leno did not initially become Arsenal’s number one, with only an injury to Petr Cech giving him the chance to stake his claim as first choice in the side. 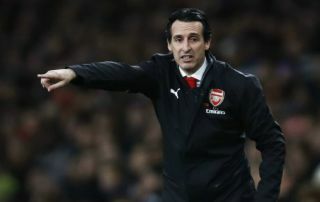 It remains to be seen, however, if Leno really has what it takes to keep his place, with some shaky performances clearly affecting Emery’s thinking. That’s if Don Balon‘s report is to be believed, with the Spanish outlet linking the Gunners as being among the suitors for Barcelona goalkeeper Jasper Cillessen. The Dutchman has struggled to establish himself in his time with Barca, despite looking potentially one of the finest ‘keepers in Europe at former club Ajax. With Marc-Andre ter Stegen ahead of him at the Nou Camp, it’s little surprise he hasn’t featured a great deal, though one imagines he could quite easily become first choice for many other European clubs, including Arsenal. Don Balon claim Cillessen wants to leave Barcelona and could do so for around £54million, which might just be a little pricey for Arsenal. Still, if Leno continues to struggle as he did so badly against Southampton at the weekend, it could be a worthwhile investment in an important position.